Casting News on TWILIGHT ZONE Series! Freddy Beans here with some casting news via DEADLINE.COM on the 2019 THE TWLIGHT ZONE series. 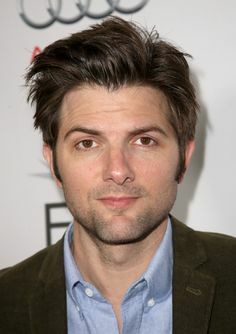 Adam Scott (PARKS AND RECREATION) has joined the cast for the Nightmare at 20,000 Feet episode. The original Nightmare at 20,000 Feet epsiode saw William Shatner, famously see the “Gremlin” that isn’t, on the wing outside his plane. While the Gremlin at the time reminds me more of the original THE THING FROM ANOTHER WORLD it still works. TWILIGHT ZONE: THE MOVIE (1983) updated that original scene with John Lithgow. The new CBS ALL ACCESS series is due next year with Jordan Peele hosting/narrating in the Rod Serling role. Sanaa Lathan has already been cast in the “Rewind” episode. In the original episode, a gambler gets a tape recorder from a homeless man that can rewind time up to 5 minutes. He gambles and wins more money than he could have ever imagined but greed has its hooks in and things don’t’ work out as expected. It’s a fun episode but I’m curious if they will use tape recorders here. It will have to be a phone these days to stay relevant, yes? I’m pretty amped for this series and am hoping it’s a reboot for the ages. Anyone else excited to explore between light and shadow?